What is Theft Protection Plan? If your phone is stolen, you can buy a new phone by paying just 50% of the invoice value. Customer who has purchased value added pack, theft protection at the time purchasing handset only will be eligible to claim theft protection on producing the documents mentioned below. How to register theft of your phone? You will have to lodge a complaint at the nearest police station and collect the FIR. You will also have to visit your service provider to block the SIM and collect the acknowledgement for the same. Visit the nearest Sangeetha store with the FIR copy, complaint copy & Duplicate SIM Acknowledgement within 48 hrs of receiving the FIR. Where can I get the claim forms? Customers can collect the claim forms from the nearest Sangeetha store or can download online here. 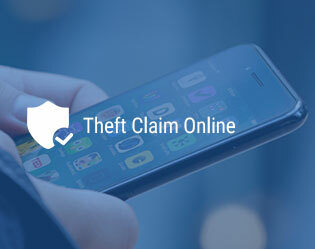 What are the documents to be uploaded to support your theft claim? If SIM is registered with other than insured, then customers are supposed to submit ID proof of the SIM owner along with relationship establishing document as proof. Once the claim is submitted successfully, a confirmation screen is shown to the customer. On successful submission, the customer will receive a reference number which is will used for further communication. Once the documents are received and verified, customers will receive a message of approval/rejection with customer details. If your claim is approved, what is next? If your claim for theft is approved by Sangeetha, the customer can visit the nearest Sangeetha store to purchase a new device. The customer is also supposed to have a copy of approval mail to purchase a new device. The customer can only purchase the same phone model by paying just 50% of the cost. Note: The new phone taken will not be protected for a price drop, physical damage, or theft.